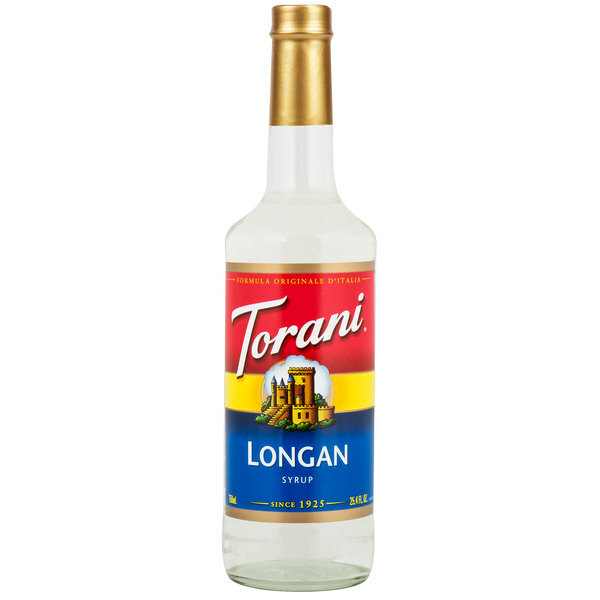 Bring all new flavors to your specialty drink menu with this Torani longan flavoring syrup! This southeast Asian fruity flavor will complement your beverages without overpowering them or being too sweet, while the user-friendly bottle will be convenient for your busy baristas to use. It is specially formulated to resist curdling in milk and to hold up well under heat, making it the perfect choice for espresso-based drinks, brewed coffee or tea, and more. Use this flavor for hot or iced teas, sodas, smoothies, and even baking! 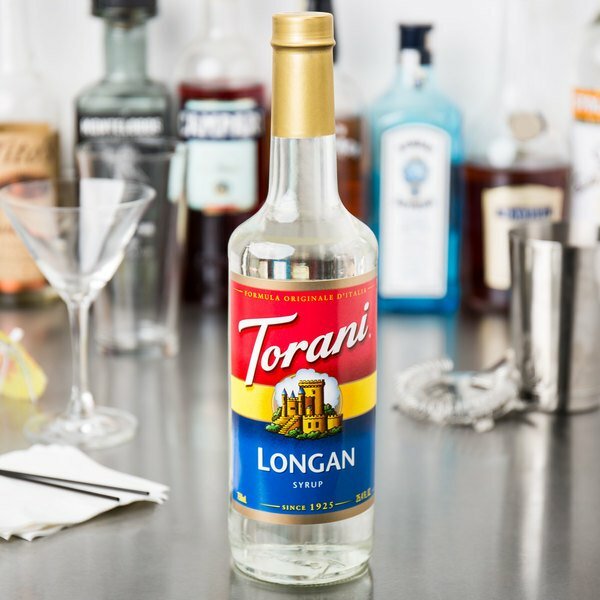 One splash of flavoring syrup goes a long way, and this longan syrup is sure to add delicious tropical and floral notes to your signature drinks. Create delicious ice teas, sparkling sodas, or blend together a sweet and creamy fruit smoothie! Plus, you can even add this flavoring syrups to cocktails to enhance your bar menu. I can not believe Torani makes Longan flavor! It is so unique and incredibly hard to find. I have really been enjoying it, I really like Longan. 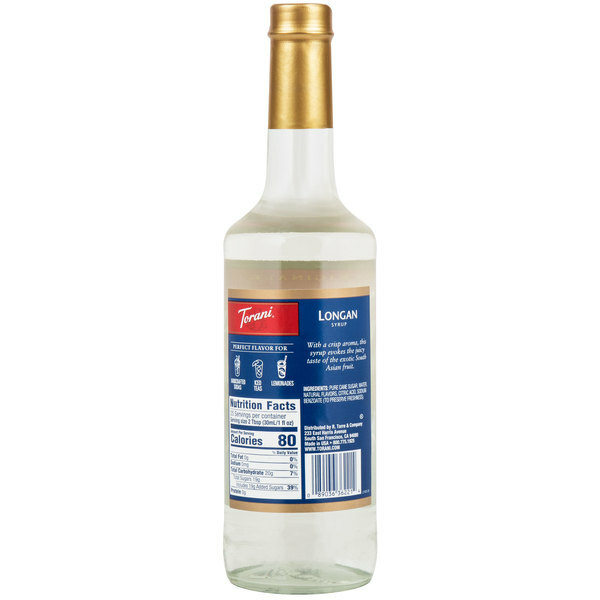 The Longan flavoring syrup is unique and a great syrup for creating new style cocktails. I love the quality of the syrup and the packaging is super. The Longan is such a unique and exotic fruit that is so hard to find. Adding this to drinks really gives my drinks an edge and leaves my customers coming back for more every time! I had never heard of Longan syrup but I am glad I gave it a try. Great fruity flavor rand perfect for making delicious drinks.